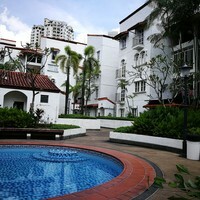 Andalucia is a Leasehold Condominium located at Pantai Hillpark, Bangsar, Kuala Lumpur. It is developed by YTL Corporatio. Andalucia comes with 4 storey buildings which comprises a total 227 units. The built-up size of the unit measures approximately 1292 – 2300 sf in size which includes 3-6 bedrooms. Andalucia provides facilities such as barbecue area, covered parking bays, gymnasium, playground, squash court, tennis court, swimming pool, landscaped garden with pool and fountains and 24 hour security. Andalucia is near to amenities such as colleges (Kolej ITJ ), and schools (SJK(C) Chong Wen). 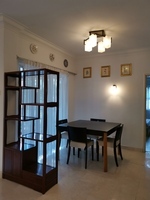 It is accessible via 3 major highways, namely the Federal Highway, SPRINT highway, and the New Pantai Expressway which enables residents to be connected to Mont Kiara, Bangsar and Hartamas. Get me good deal if there is any units available in Andalucia.